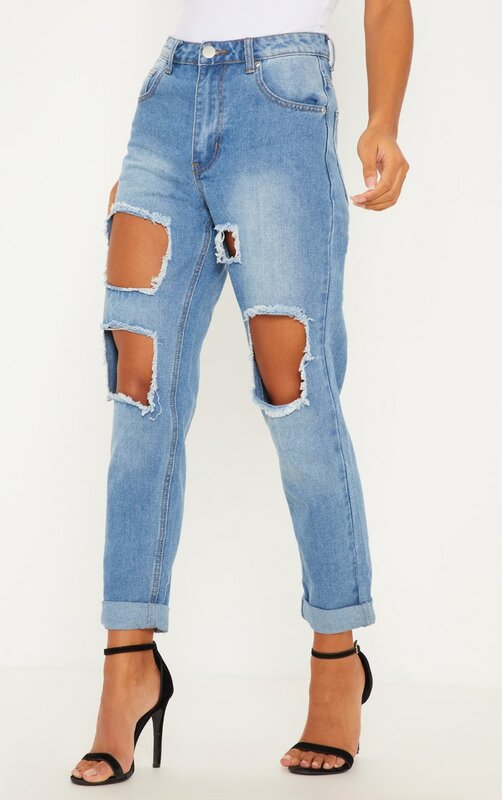 Damn girl, nice jeans! 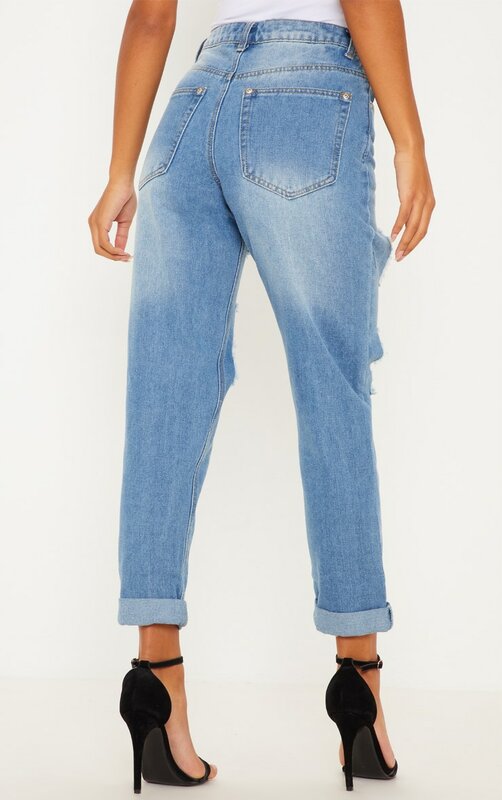 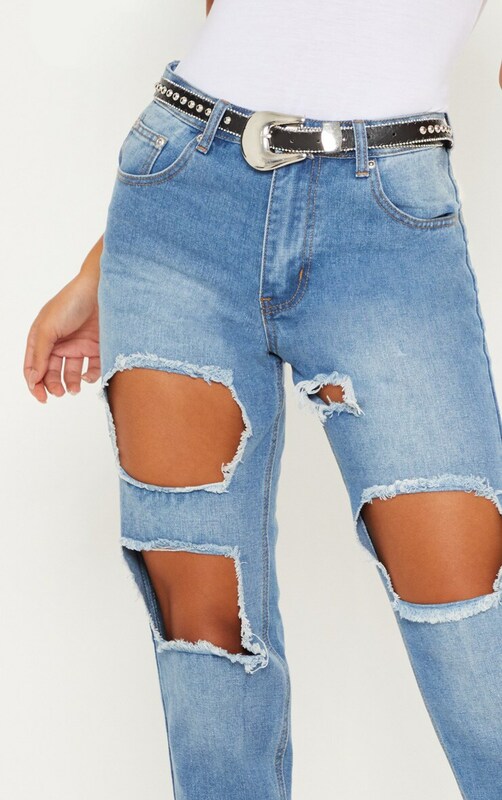 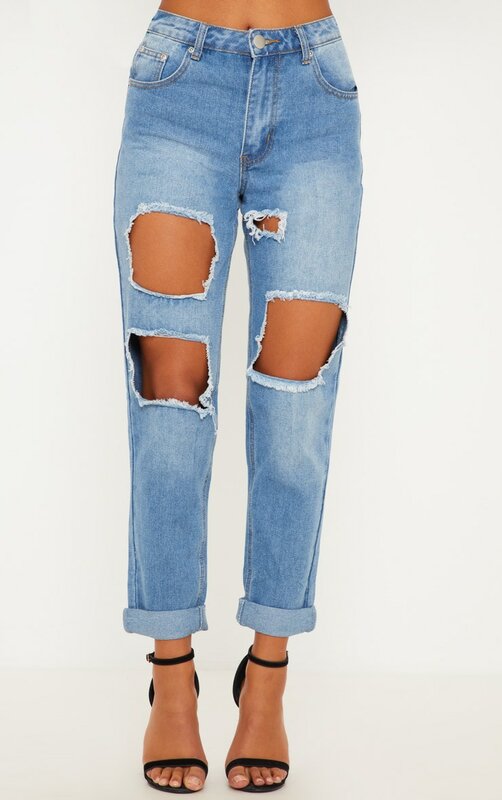 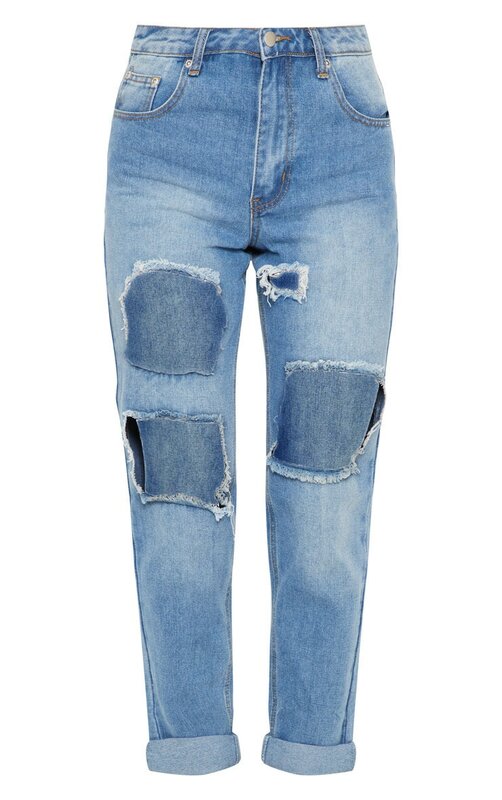 These boyfriend style jeans will keep you looking fly all day, so shop it like it's hot and grab this perfect pair. 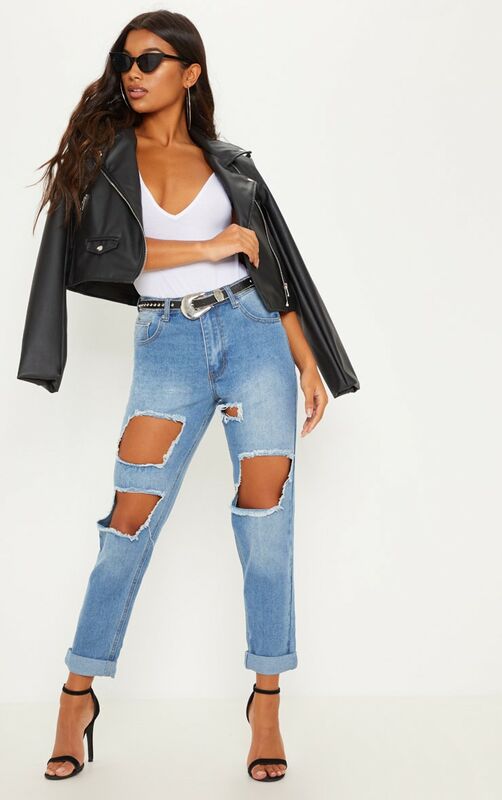 In a boyf style fit with ripped detailing and whitewash, wear with a jersey tee, barely there heels and leather jacket for bad gal vibes.